Illogic has been a staple in underground rap for quite a while now. And for this reason, he’ll get off pretty easy for releasing the mediocrity that is Capture The Sun. But it’s just always so unfortunate when conscious rap proves why it’s stigmatized (as whack) in the first place. Even throughout raps many different facelifts, Illogic has held his ground, consistently challenging the crookedness of the record industry, social injustices, blah, blah, blah. We’ve heard that all before. And even with hip-hop’s current renaissance, Capture The Sun doesn’t quite stack up against the rest. After reiterating the same recycled ideas he finally decided to switch it up a little, teaming up with underground producer Blockhead (of Aesop Rock and Rhymesayers notoriety) to release an album that encourages us to follow our dreams no matter what may stand in our way, because his other topics weren’t quite cliché enough. The good thing about this album is that Illogic sticks steadily with the theme. That’s pretty much the only good thing. 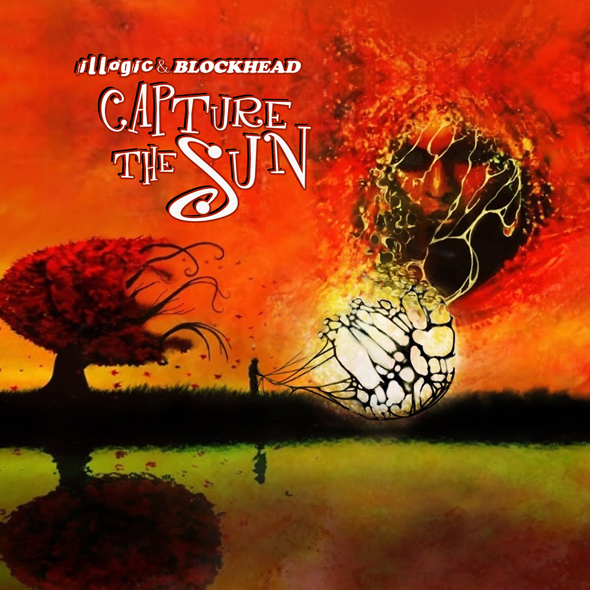 Illogic reminds us to “capture the sun” in at least every other few songs. But the problem is, he never really tells us how. He seems to ramble about change and redemption, but if you give each song a thorough listen, you’ll likely have no idea what he’s talking about. “Daily operation in the cycle of the orthodox…as long as you don’t leave this box, all in together now.” What? The fake deep lyrics are actually exhausting. And everything Illogic has already said once, he paraphrases again. You almost get the feeling that Illogic & Blockhead just came up with the ideas for each song because the titles sounded cool. There’s even a song on the album called “She Loves It” but it fails to explain just what in the hell it is that “she” loves. Perhaps it’s a 2-minute long instrumental with 1 lyrical bar? The album goes even further than below average production and lifeless lyrics. The engineering even seems half-assed and comes across as a low budget mixtape from a guy hustling you in front of the local subway. In some instances, Illogic’s mic seems to be too loud, and with no real marriage between the production and vocals, this element makes Illogic’s already corny lyrics seem…how do we say this—even cornier. Capture The Sun takes a while to pick up. As in 3-4 songs pass before the album starts to make way. And even when it does, the highest height it ever reaches isn’t in the least impressive. To put it frankly, Illogic and Blockhead’s problem may be that nobody has yet told him that the 90’s have already happened, and with this lackluster project, there’s reason it doesn’t need to happen again.